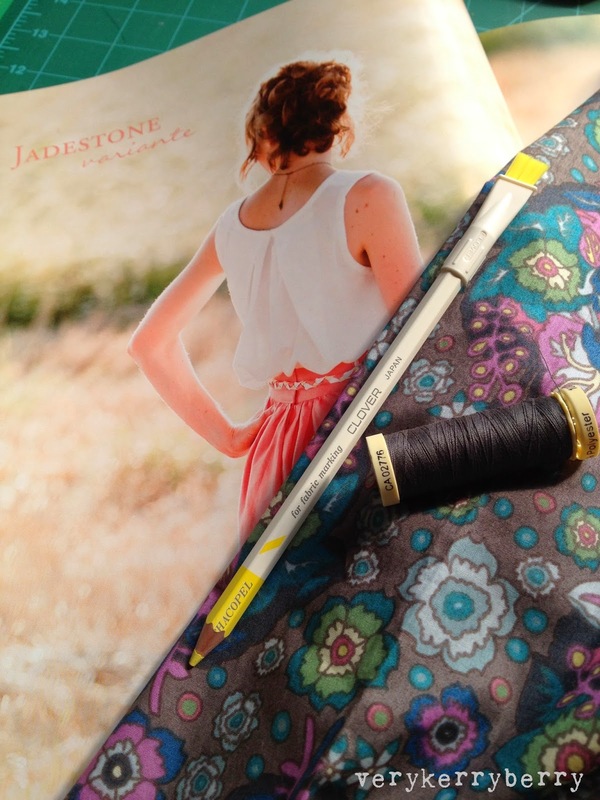 I'm still on a dressmaking kick so for May with Me-Made-May in mind and Sewing Indie Month, 'What Makes Good Dressmaking Fabric?' is my theme for my monthly visit to The Village Haberdashery. This is purely personal IMO thoughts on why I buy particular fabrics for making clothes. 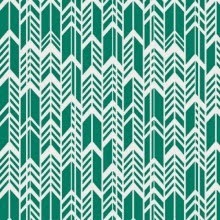 If I am looking at a patterned fabric, I consider pattern direction first. Is it one-way like Lotus Pond by Rae for Cloud 9 ? 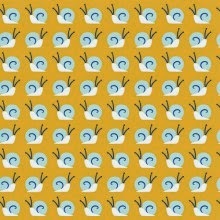 This means the pattern orientates in one direction with the snails crawling along and not upside down. 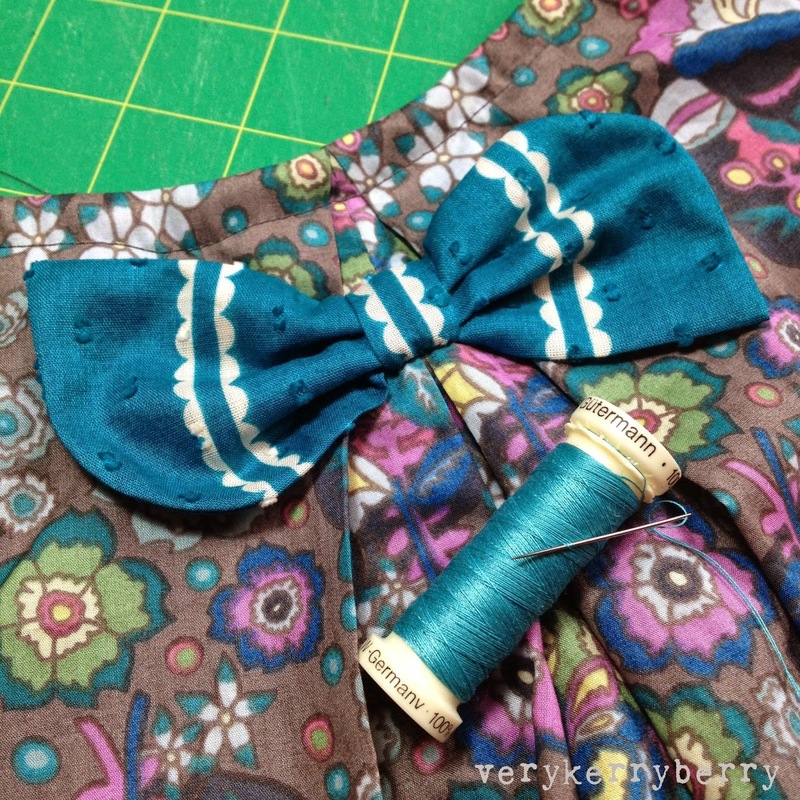 For dressmaking, this can limit your placement of pattern pieces so you may end up needing more fabric. This Feather print in teal is one way but a feature could be made of is going the other way as the design is more geometric and abstract. 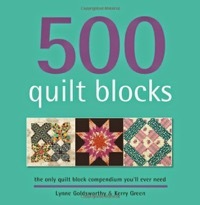 It is quilting cotton so it would need a pattern that would suit a heavier cotton. 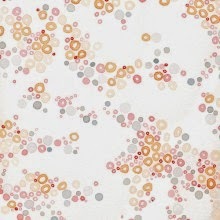 A Washi perhaps? Two-way designs are more efficient as pattern pieces can go upwards or downwards. 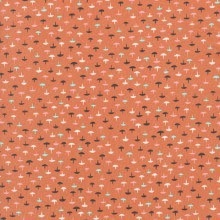 This is a pre-order fabric by Kim Knight for Cotton and Steel: Tacks Lawn in coral. Lovely and lightweight. You can utilise the direction for contrast details so for a waistband, the tacks could lie horizontally. 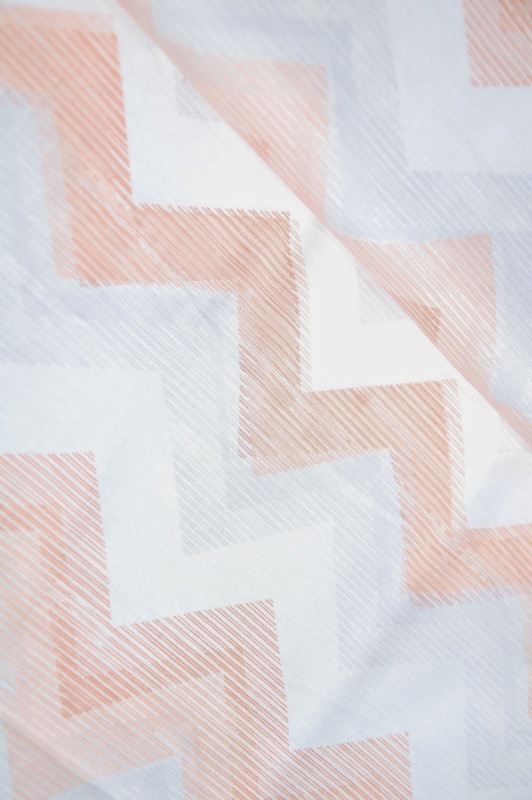 Jeni Baker comes up with some wonderful geometric designs and Art Gallery cotton is a silky base cloth great for clothing as well as quilting. 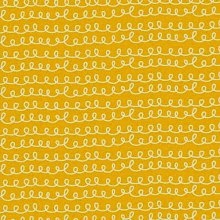 This is a four way pattern- imagine arrows vertically and horizontally- the pattern works in all these directions. This is good if you are trying to squeeze pattern pieces into a limited quantity of fabric- I have cut pockets/waistband and other not so vital pattern pieces so the grain arrow lies horizontally rather than vertically on patterns like these. 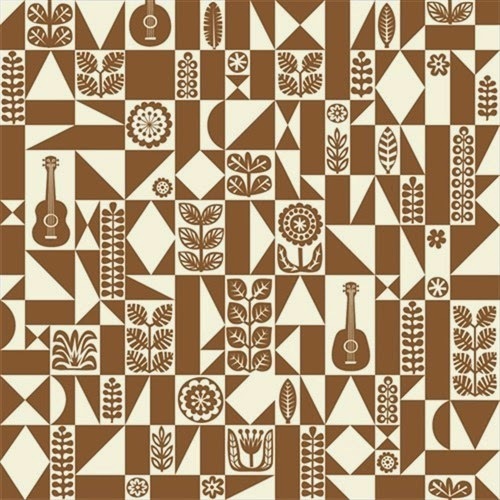 This is from Dreamin' Vintage, Quite Lovely in Sugar. And a tossed design is multi directional so which ever way you cut the pieces, including on the bias, the pattern will work. Palos Verde voile, Abalone Cove has this sort of pattern- its abstract and works anyway up. And if in doubt, a solid suits everything. 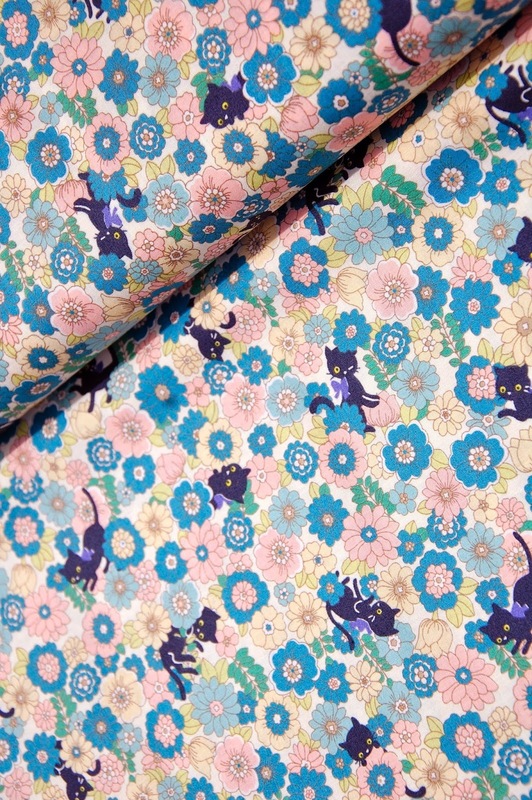 Cambridge lawn is a Raobert Kaufman lightweight fabric in beautiful colours from pastels to darks. 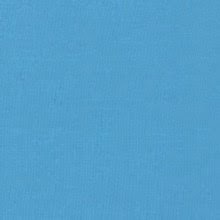 This colour is called, 'Rain'. 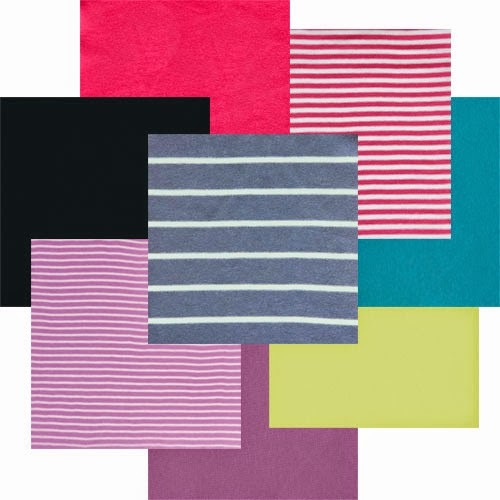 These interlock jerseys in solid colours and stripes are wide too, many jersey and knit sewing patterns assume wide fabric too- I think this may change with the introduction of more knit fabrics that are 44" wide. This is a word often used of dressmaking fabrics. There is a great technical explanation here. Basically its how the fabric hangs on the body. 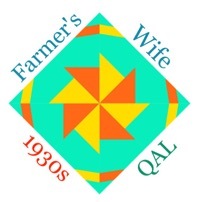 The often criticised quilting cotton can be a little stiff- e.g for a shirt or or something that needs fluidity and movement- like the Riding Peplum and Party Dress. 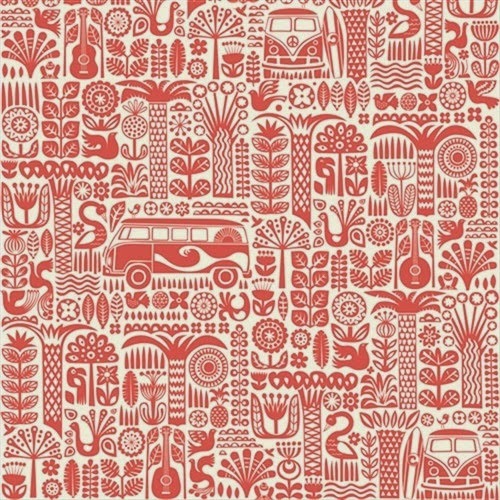 With Indie patterns, there are often clues in the fabric the designer uses for the pattern cover. I can recognise a double gauze for the top and voile for the dress on April Rhode's pattern photos. Although on her website you can see it in Art Gallery cotton and compare the drape. 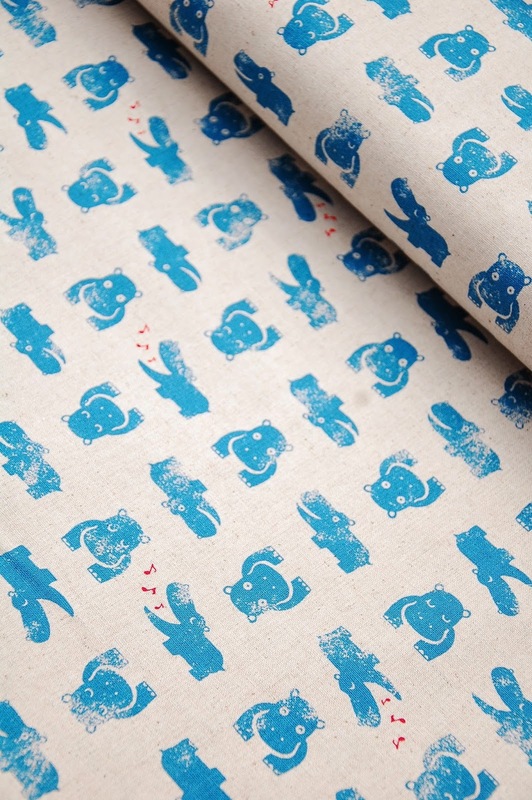 Double gauze is a favourite of mine, especially Nani Iro. Colourful Pocho in Berry Field. Please leave me some of this, I am thinking of another Belcarra in it! 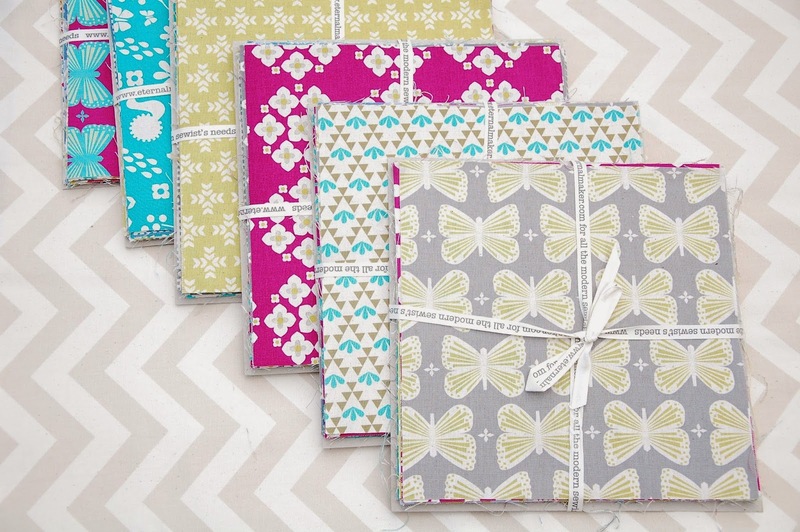 You can sign up to be notified when these fabrics come into stock- the fabric links will take you to this page. 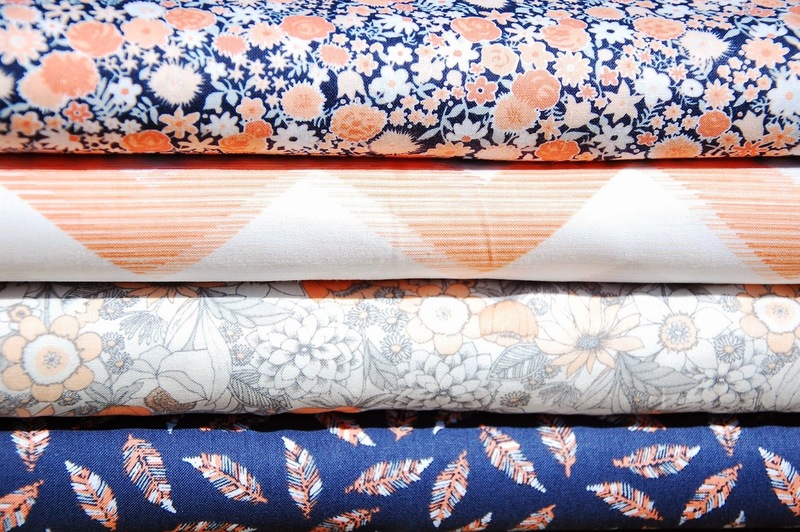 There are other factors I think about when choosing fabric- how will it fit in and co-ordinate with the rest of my wardrobe being a big factor (its an eclectic mix in there, that's all I'm saying) and that is worth bearing in mind, but for now, Th Th Th Th Thaat's all folks! A basic woven T style top is a holy grail for me. Something short sleeved, slightly fitted, not tent like, relaxed and suitable for tucking in and wearing out. I have considered the Scout but I think it is meant to be a looser fit rather than a fitted one so I haven't tried it. When the Belcarra came out hot on the heels of the Gabriola, I raised an eyebrow and had a think. The PDF pushed me over the edge and I thought I would give it a try. I was really pleased with the result. Let's back pedal a little here. I had reservations. The pattern seemed to take a lot of pages for a simple top and there are large wastage borders on the PDF. On the upside, there is a great use of grids on the pattern as well as the usual tester print size box and it did jigsaw together well. As the each raglan sleeve has a front and a back piece, there are a surprising number of pattern pieces although you only need print what you need- there are variation sleeves and cuffs for different looks. 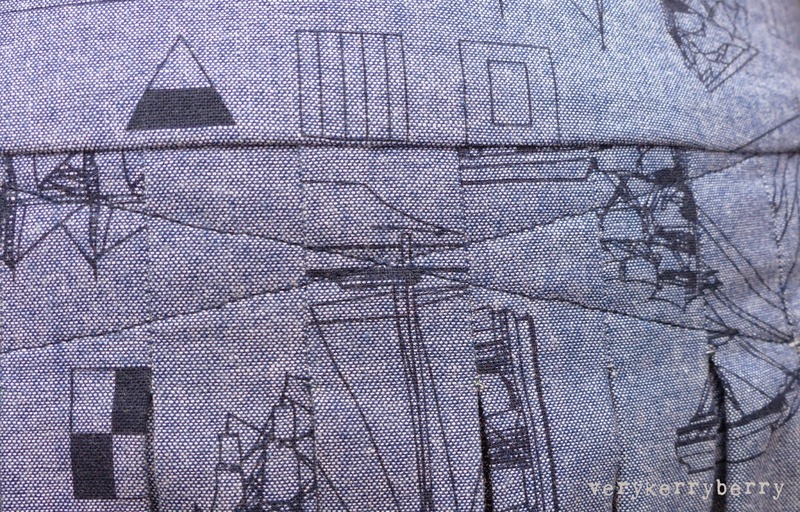 I sewed view A with the addition of a pocket. The instructions are detailed and have clear diagrams plus there is a sew-along for extra support. 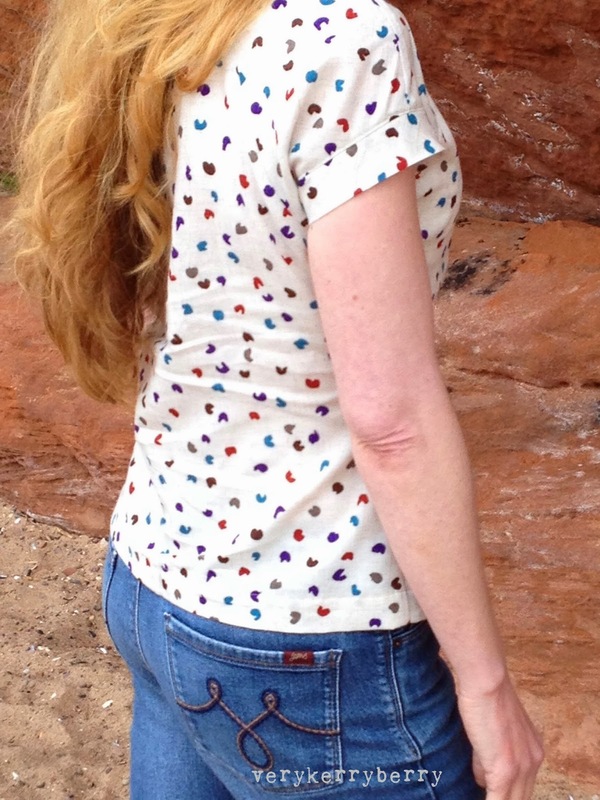 After a little consultation on the sew-along fitting comments, I didn't do a bust adjustment. I cut a size 4 initially (the fit is quite generous) but I made changes. I ended up taking all of the sides in to size 2, and size 0 over the hips straightening out the curve. 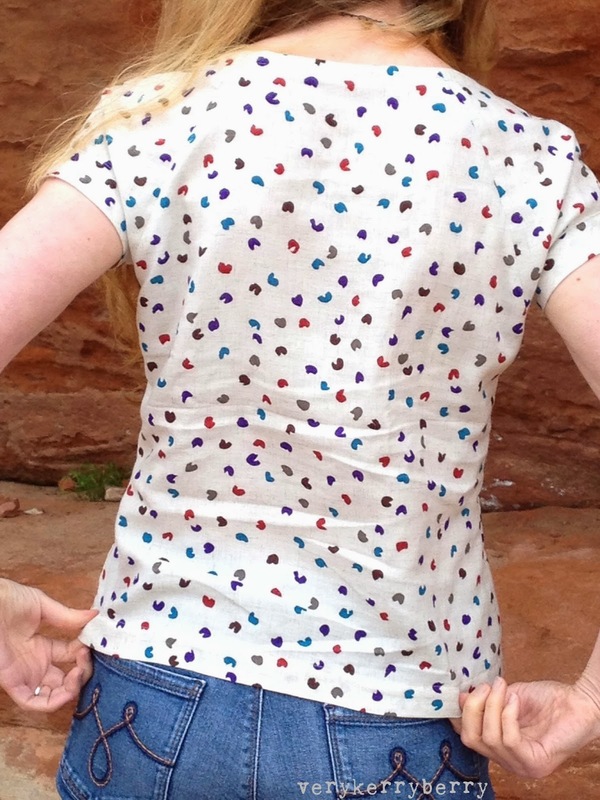 I generally find that a hip curve seam doesn't work on me, I need more of a gentle diagonal from waist to hip. The sleeves are trickier than they look, they need easing to fit and to match the notches but it is this that gives the drape and fluidity to the top. The cuffs are a little tricky too, I needed to go slowly but they worked first time and are a neat finish. They are cut on the bias so would be great in a contrasting stripe. 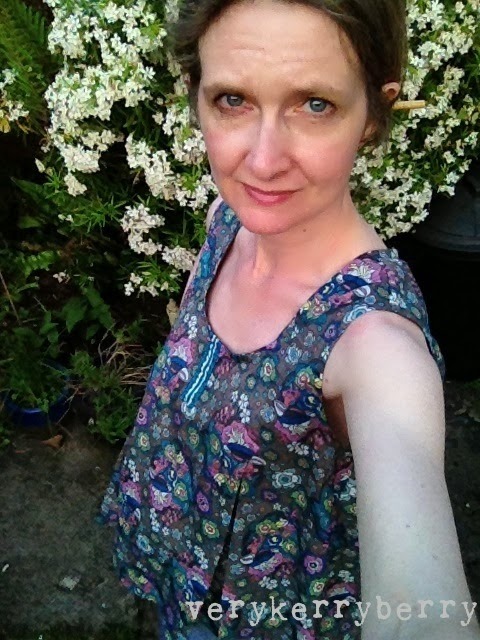 At the neckline, I used a linen bias binding and took a smaller seam to make the neck a little higher and keep my bra straps under wraps- seemed to work out just right although this area is easy to alter and is detailed in the sew along. My fabric is a mongrel mix of unknown linen and something manmade but it has good floppy drape to it and that is something this top really benefits from. 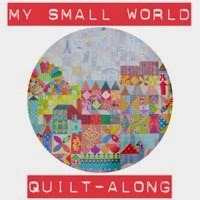 I would not sew this in quilting cotton, even Art Gallery quilting cotton. It needs double gauze or lawn or even silk. A lightweight viscose jersey would be good too although I'm not sure how the neck finish would work. Hopefully that is covered in the sew-along. I took 1.5" off the hemline at the bottom and turned up a 1.5" hem (with quarter inch raw edge turned under). Now I've worn it out to the beach for a dog walk, I can whole heartedly give it the thumbs up. 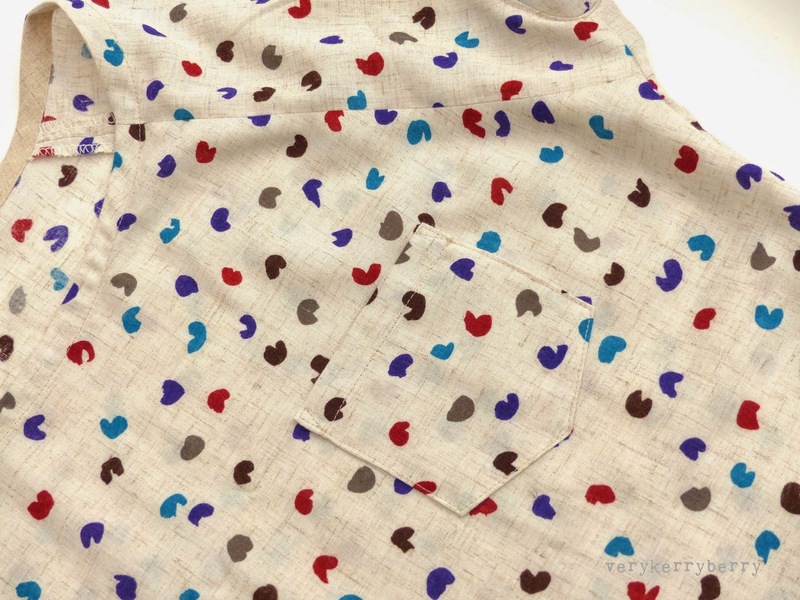 This is the short sleeved basic that I have been looking for! 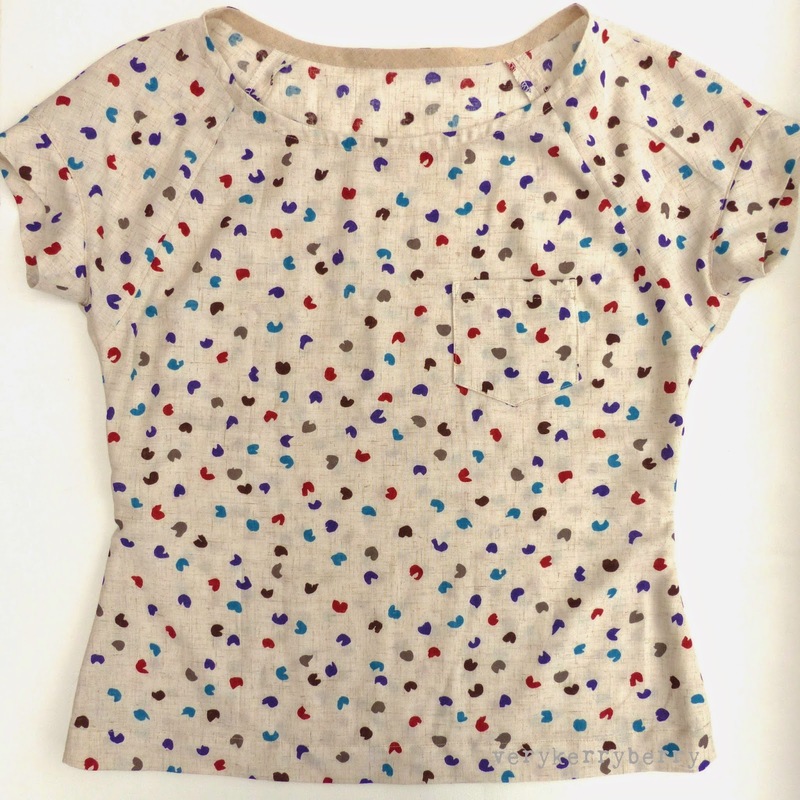 It is a relatively quick sew which gives you time to sew everything really carefully for a good quality finish- no buttons, no zips! I didn't use french seams as each inner seam is curved and I didn't want to compromise this so I served the raw edges. 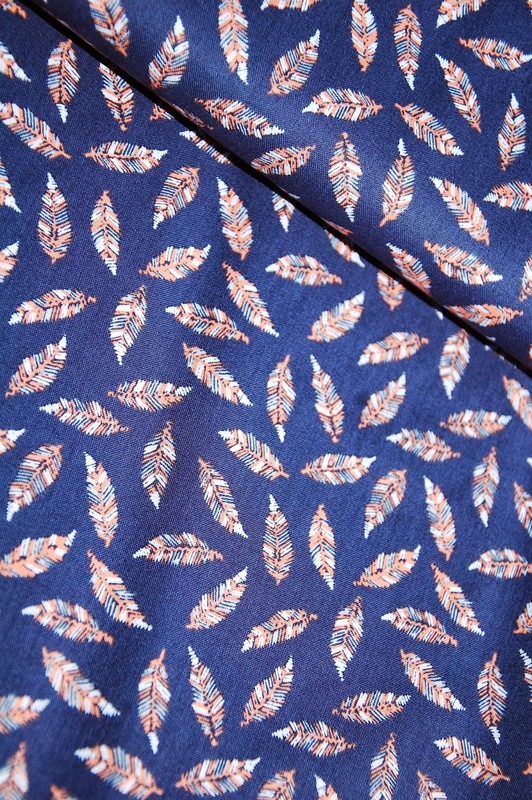 It is a well designed pattern, deceptively simple and nicely cut. I can't wait to try more, especially the sleeves with tuck detail. Size: Cut size 4 upper body, size 2 at the side seams/underarms grading to 0 at lower hips side seam. Grains de Couture Hommes et Femmes has been a great find for me. It is a luxurious and large book with enormous pictures and I find it easy to lose myself in dressmaking plans. It is a book of potential. The author encourages hacks and variations so you have to trust your decision making and go for it. 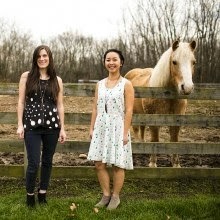 You also need some dress making experience to get past the language barrier. The book is beautifully written and translates well using Google translate. All the construction processes and pattern alteration ideas are listed and detailed in the back pages. 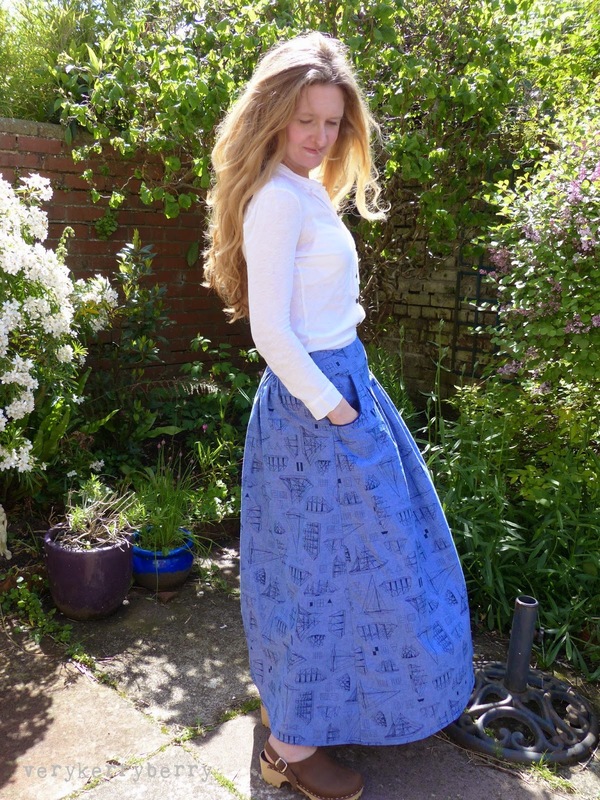 I chose to make a maxi skirt variation which combines a couple of patterns for waistbands pockets etc and I added a few of my own ideas. I curved the pockets and made them larger. 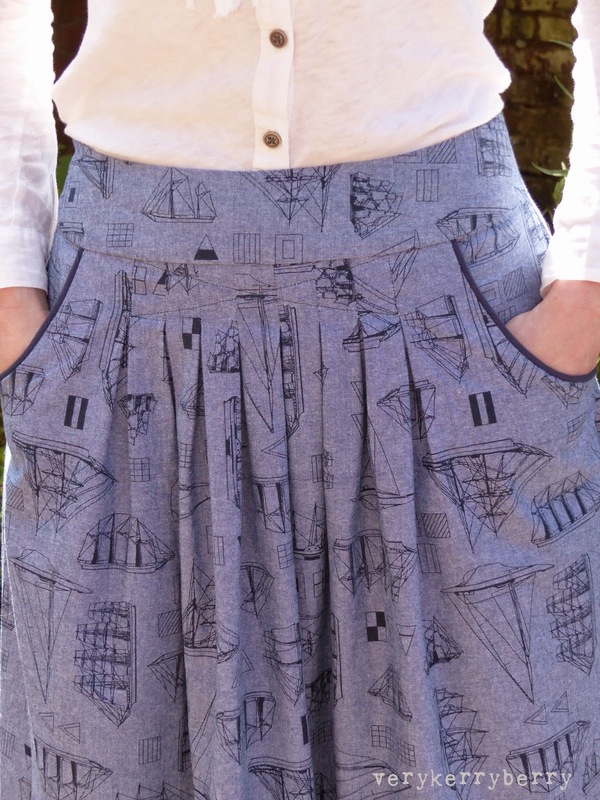 I also stitched down the pleats to reduce the puffiness- who wants puffiness over their belly? 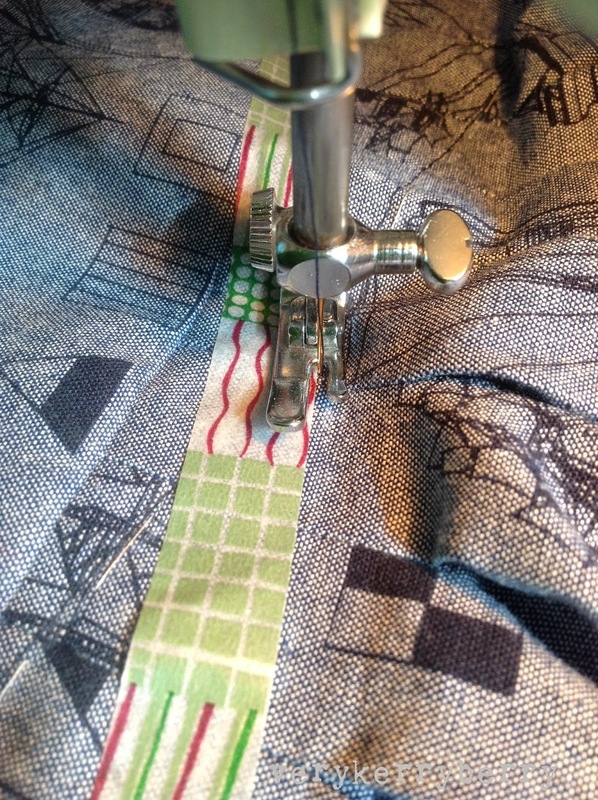 I also lengthened the stitching lines that form the pleats. 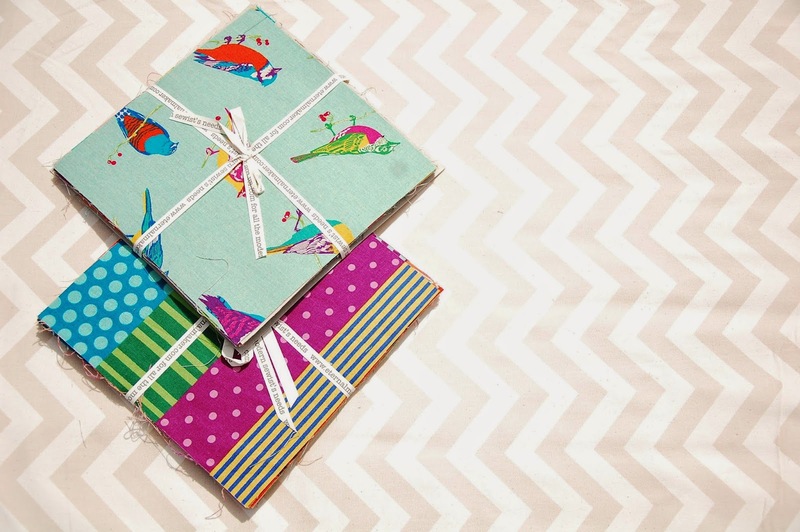 To achieve the straightness, I used a bit of Washi tape- I use it quite a lot in sewing, e.g. for holding paper still when tracing or for cutting and altering patterns. So after the success of this skirt, I turned to my next yearning; the Jadestone variant. For this I followed the book guidelines and used my Wiksten tank pattern for the arm curves. 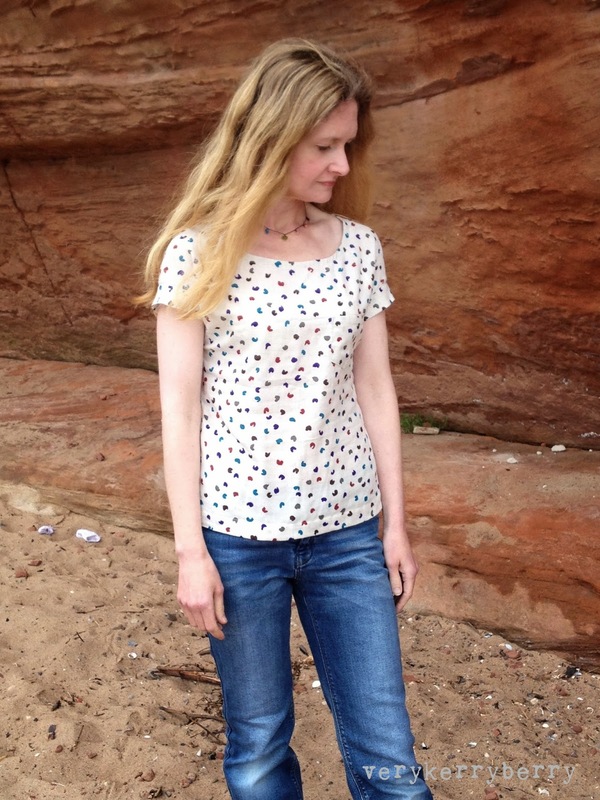 I traced a size 36 and took it in a little further at the sides and unleashed the pattern on my much loved stash of Anna Maria Horner Little Folks voile. The result is mixed. I love the back, the multi-fold detail is really interesting. The front is less successful. 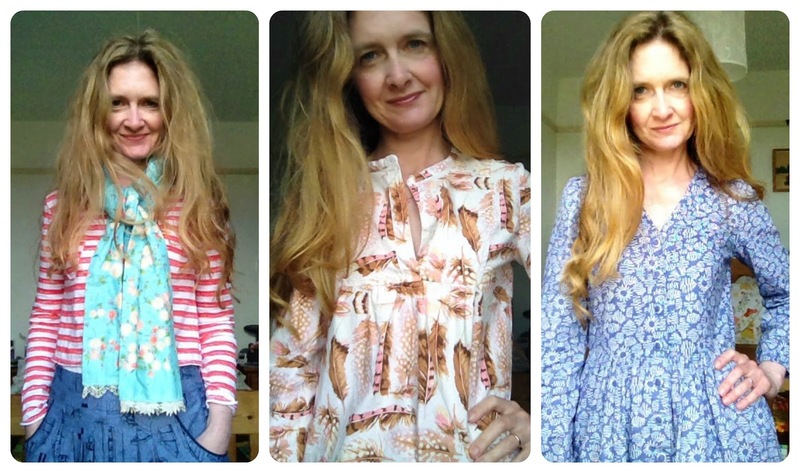 I love the look of trapeze tops, floaty flared pleated tunics but they don't suit me. I need more fit across at least the upper chest- this is why I love yoke shirt tops like Tova and Carme so much. What I really need to do with this is unpick the front (including the arm hole binding) and cut a Wiksten tank out of it to replace the pleats and then reattach to the back. Dressmaking is an inexact science and there are some things that just don't work out, as parts of my wardrobe can testify. 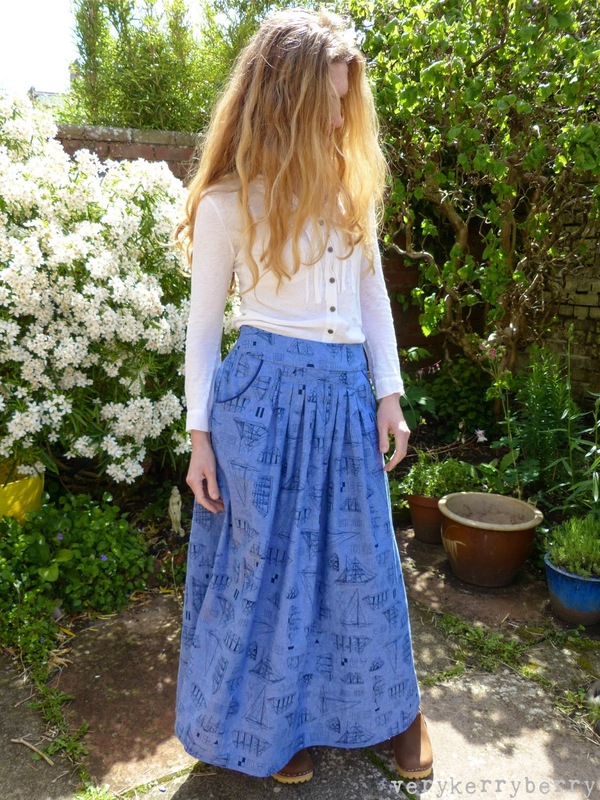 So I'll end on a happier note with the skirt, worn many times in the last month for Me Made May 14. 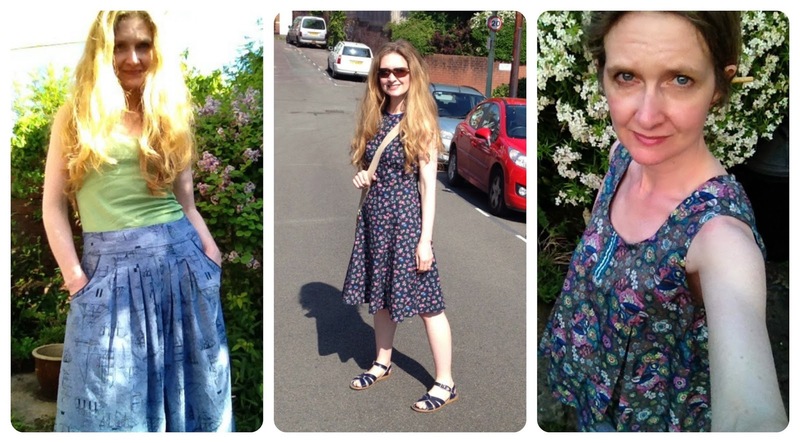 The better weather in May certainly opens up my wardrobe for Me Made May 2014. Days 11-13. From left to right, Megan Nielsen Briar (this version not blogged) with Grains de Couture Nautique skirt (yet to be blogged, get on with it lady), Tova in Martha Negley feathers, Megan Nielsen Darling Ranges Dress (one of my favourites). Days 14-17: Grains de Couture Maxi Opale skirt as before, Simplicity 6329 vintage dress in Denyse Schmidt fabric, a partially successful floaty vest style top from Grains de Couture. Days 18-20: Wiksten tank with a few tweaks (not blogged), Deer and Doe Bleuet in Melody Miller fabric, Jim jams made last summer for Fat Quarterly retreat classes. 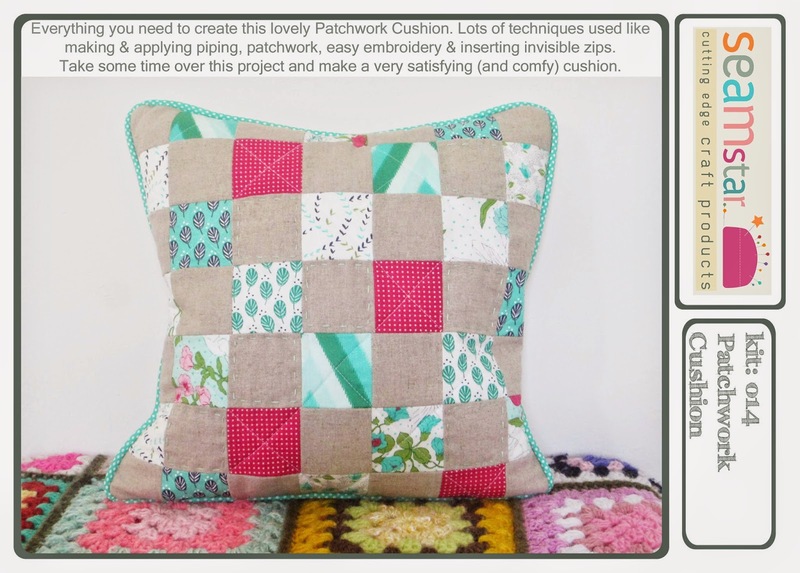 This week I realised that I need to go through my existing patterns more and make the tweaks and changes and new hacks and combinations. I've just ordered a Fashionary to organise my clothes making a little better. I also realised that test garments are a total pain in the backside but they are necessary- you can rarely expect the first time to be perfect. 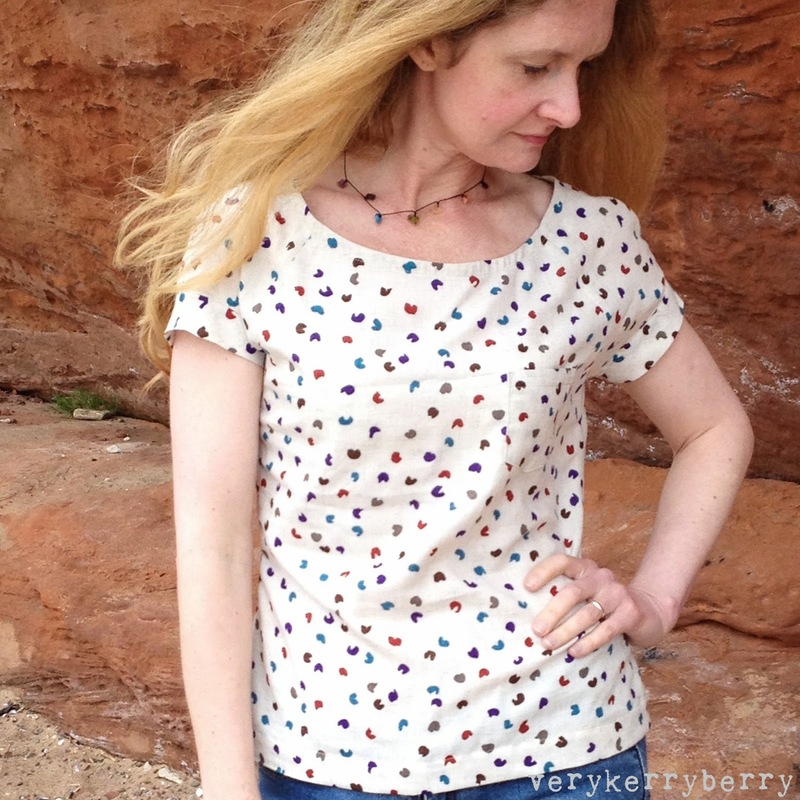 I have made a tester cami and shorty knicks for the Gertie slip sew along, and I was so glad I did! 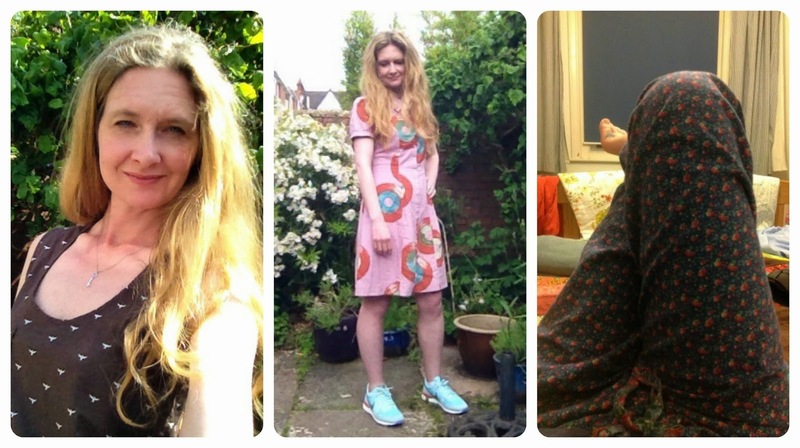 Pics coming soon- some already on IG (@verykerryberry) My wardrobe is growing, this time next year, I hope to have crossed over further to a world of me-made. 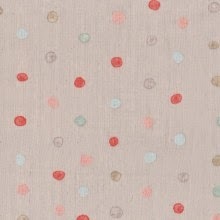 This is a linen/cotton blend so heavier than standard quilting cotton and a great balance between pretty and cute. I love the hand print effect on these. 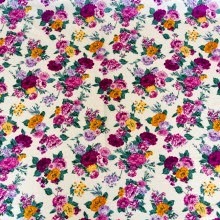 I can imagine this fabric on floor cushions but there are lots of other possibilities too. Then this, 'Samba Geo Brown', which I just adore! 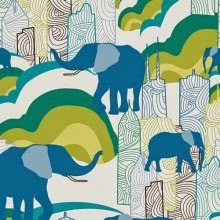 See the rest of this collection here- great colours and great patterns. You can find out more about Dennis Bennet here. 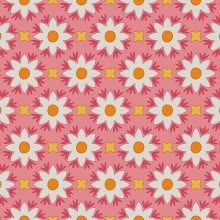 Floral (hmm, imaginative name!) 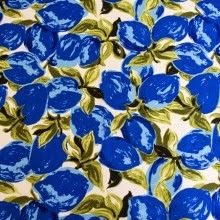 very pretty print. Feather (again, say what you see). 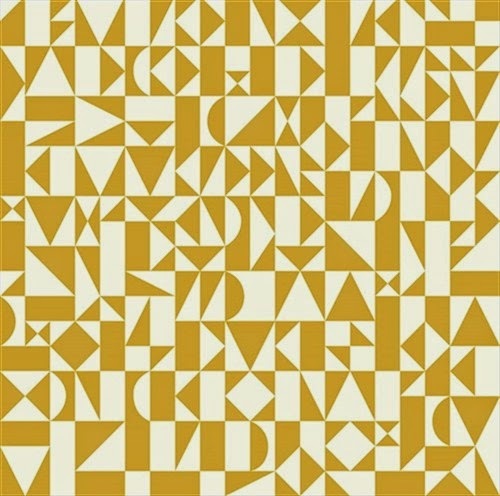 and Chevron, which looks like a much larger scale pattern. 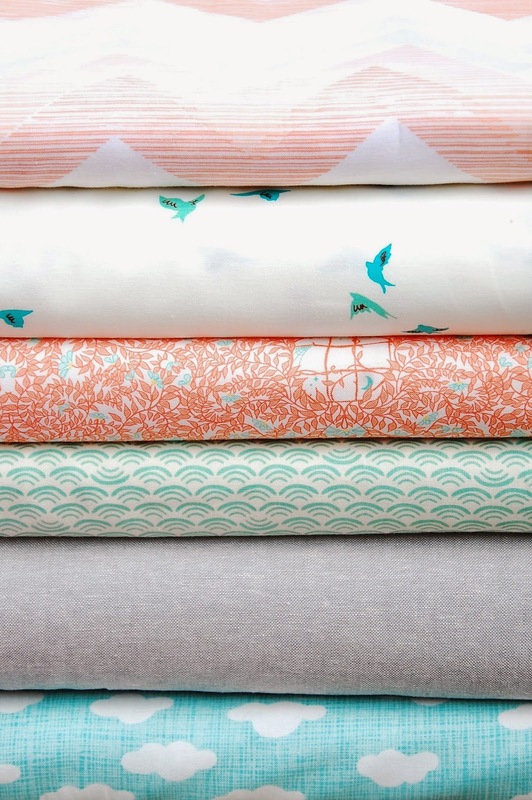 Whilst we are looking at bundles, I really liked the mix of this selection, 'Fly Away Birdy', a definite quilt in the making. 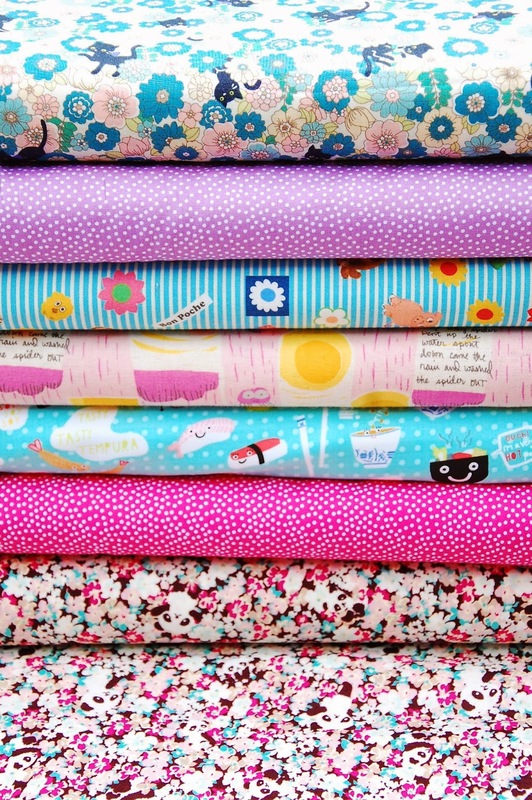 For Echino addicts, new layer cakes with a mix of old and new prints. 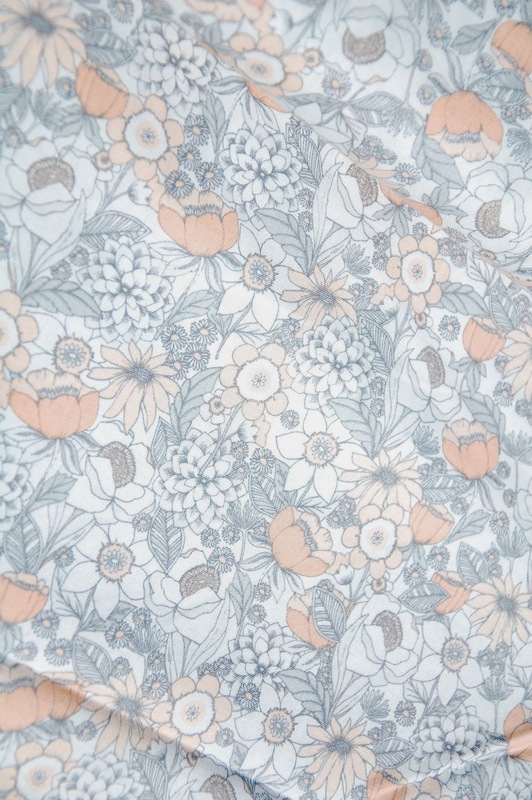 And Ellen Luckett Baker's 'Garden' prints for Kokka on linen/cotton blend. There are heaps more that I haven't mentioned. 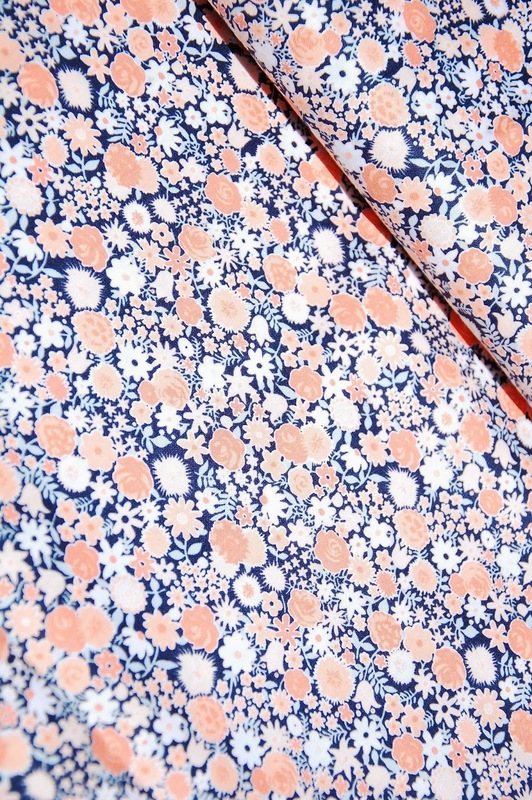 You can find the 'new in' fabrics here. Linktastic. Sara Sewlittletosay, Helen Archiethewonderdog, Peaches1003 (International winner), Becky Itssewimmaterial and on Instagram, it was Sally Salamandascraftyadventures. Congrats to all and remember the half price offer for this kit still applies if you didn't get lucky, click here quoting the code ssCraftClub50.